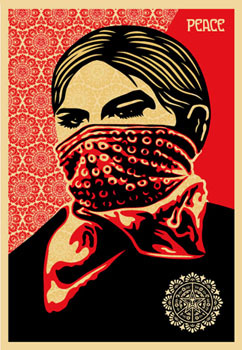 This print was released as part of special Supply and Demand Book box set celebrating 20 years of the Obey Giant campaign. It was sold at Fairey's museum retrospective at ICA Boston. The box set retailed for $175.